Former OU Assistant Coaching Up Local Prep Quarterbacks at the "Classroom Camp". Actor Don Diamont talks about his son Alexander, his commitment to Indiana and training with Coach Joe Dickinson. Highly recognized Coach Joe Dickinson leads the Nation's top quarterbacks as they prepare for the upcoming season. Coach Joe Dickinson leads high school and youth quarterbacks from across the Nation in a week-long Elite training experience modeled after NFL and college camps. Youth Quarterback JD Head along with top Quarterback prospect John Jacobs are featured in the WMTV News 9 special. Coach Joe Dickinson helps top quarterbacks prepare for the upcoming season. You can watch the television special in its entirety here. Top Quarterback prospect Augie DeBiase is featured on My Fox 30. Here is a snapshot of the experience one can expect at a DeBartolo Sports University training camp. Quarterback EJ Manuel from Florida State University talks about the DeBartolo Sports Super 7 QB Retreat, being a student of the game and offers advice to young athletes. Part 1 of a 2 part interview. Spring Break Elite Quarterback Training Academy was featured on "Inside High School Sports." 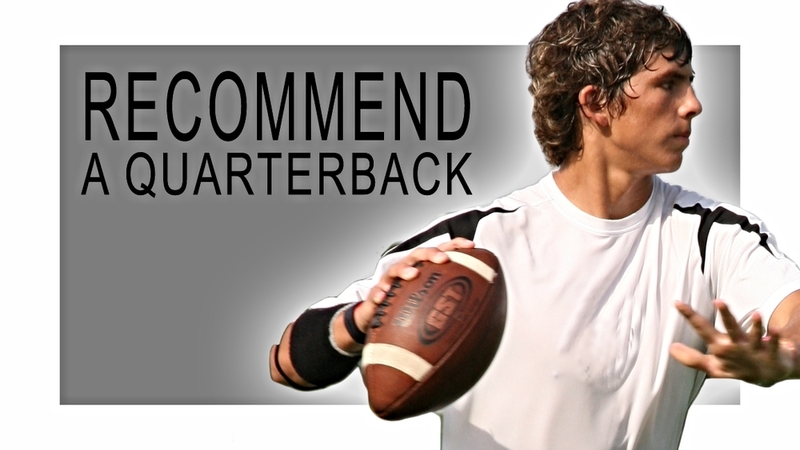 Includes highlights of the Nation's top prep quarterbacks. Trailer for the DeBartolo Sports Elite Quarterback Challenge. Quarterback EJ Manuel from Florida State University talks about the recruiting process, off-season training, high school memories and preparing for college football. Part 2 of a 2 part interview. In this interview from May 2008, NFL Quarterback Rhett Bomar talks about being a mentor, transitioning from high school to college, and who he looks up to.